The cessation of hostilities in Syria that came into effect at sunset on Monday is holding well into its first day, reports suggest. UK-based monitoring group the Syrian Observatory for Human Rights said it had recorded no civilian deaths in the first 15 hours of the truce. 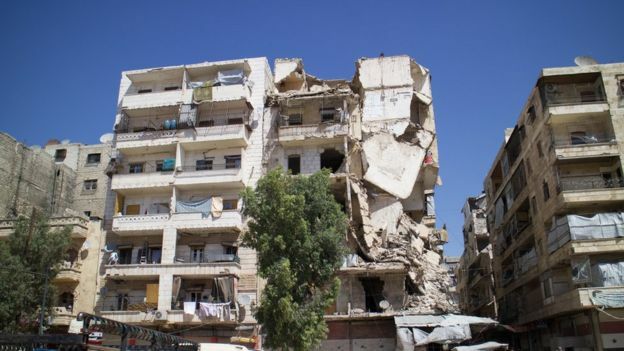 Residents in the embattled northern city of Aleppo reported calm. UN officials say they are ready to deliver aid to besieged areas but need better guarantees of peace. The Syrian government says it will not allow aid, particularly "from the Turkish regime", to be delivered to Aleppo without prior co-ordination with it and the UN, state media report. Some 250,000 civilians are estimated to be trapped in rebel-held eastern Aleppo due to a siege by government forces. 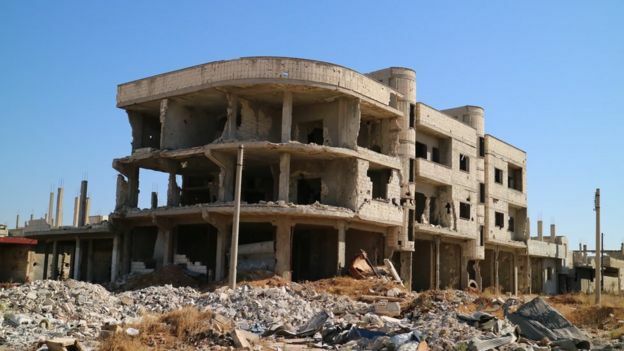 The fledgling truce was reportedly broken by sporadic attacks late on Monday, carried out by both government forces and rebels after the ceasefire had come into effect. 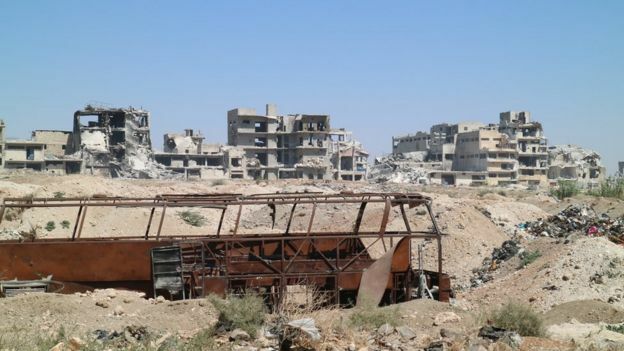 The Syrian Observatory said it had seen reports of aerial bombardment of some villages in Hama province, and shelling near Damascus. The Syrian army has said the truce will be applied throughout Syria for seven days, but that it reserves the right to respond decisively to any violation by armed groups. A number of rebel factions have given a guarded welcome to the deal but expressed reservations about its implementation. Humanitarian groups are hoping to make aid deliveries to the worst-hit areas, especially Aleppo. A UN spokesman said aid convoys were ready to travel in from Turkey but officials needed to see "a laying down of weapons that satisfies us... and as I speak that has not yet been the case". 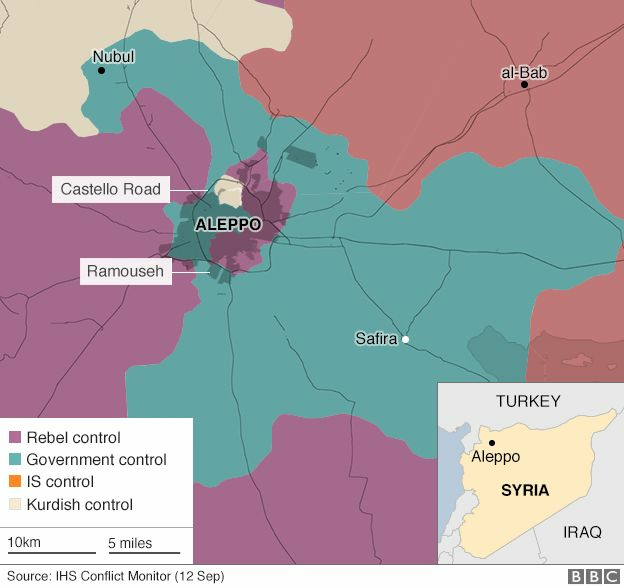 Russian news agency Tass said that Russian troops had secured part of Castello Road - a key access route into Aleppo - on Tuesday, although this has not been confirmed. US Secretary of State John Kerry called on Friday for the road to be demilitarised and said the US would work with Russia to free the route for aid convoys. The deal, described by Mr Kerry as the "last chance to save a united Syria", was struck on Friday in Geneva after months of talks between Russia and the US. It requires both sides to allow unhindered access for humanitarian aid. If the truce holds for seven days, the US and Russia will carry out co-ordinated air strikes on militant groups - including so-called Islamic State and Jabhat Fateh al-Sham (known until recently as the Nusra Front). Media captionPresident Bashar al-Assad: "The Syrian state is determined to recover all areas from the terrorists"
The number of deaths recorded since the beginning of the conflict in March 2011 has now risen past 300,000, according to the Syrian Observatory for Human Rights. However, it said it estimated the full death toll to be about 430,000. The official UN estimate rests at 250,000 after the organisation stopped counting in 2014, uncertain of its ability to gather accurate data. More than 4.8 million have fled abroad, and an estimated 6.5 million others have been displaced within the country, the UN says. The strength, or otherwise, of the ceasefire is a big test of what appears to be a less sour, more workable relationship between the foreign ministers of the US and Russia. Diplomacy failed in the first, critical years of the war. A major reason for that was diplomatic deadlock between President Bashar al-Assad's ally, Russia, and the US, which demanded his immediate departure from office. Since then Russia has become the most influential outside power in Syria. The US and its Western allies have struggled to keep up. Perhaps Moscow is now ready to build on a ceasefire, if it lasts, to push President Assad towards a political transition that might end the war. Or perhaps, as enemies of President Assad and the Russians believe, the ceasefire will be a chance to regroup and rearm. Image captionCan Kerry (left) and Lavrov succeed at last? What is the Geneva II conference on Syria? This article was originally published on BBC News. Read the original article here.